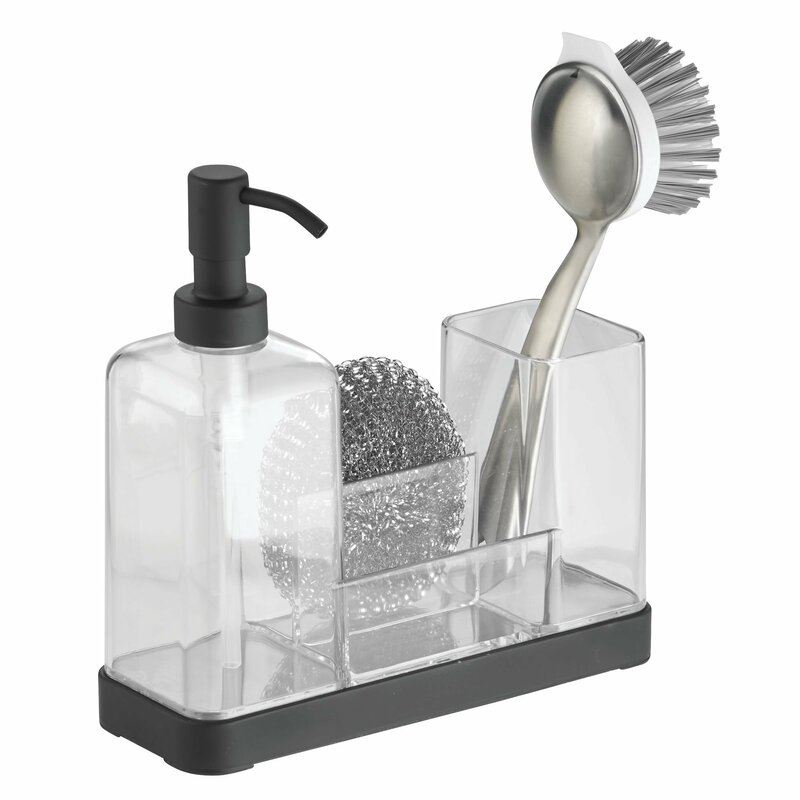 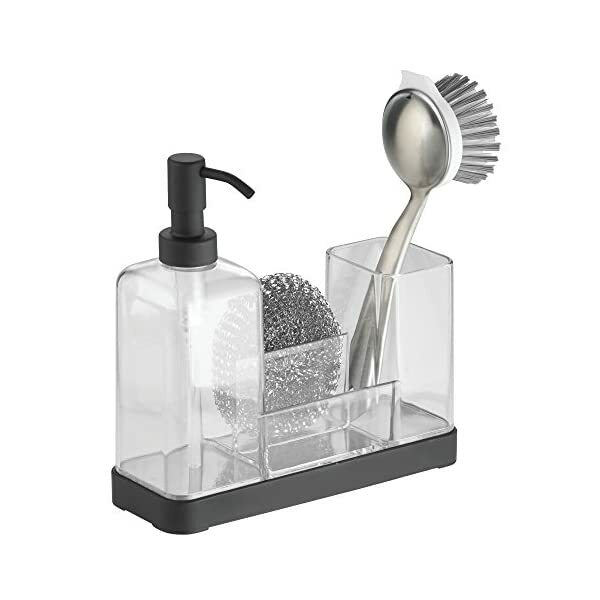 PRACTICAL: This kitchen sink tidy with a soap dispenser can store a sponge, a scrubber, and a brush. 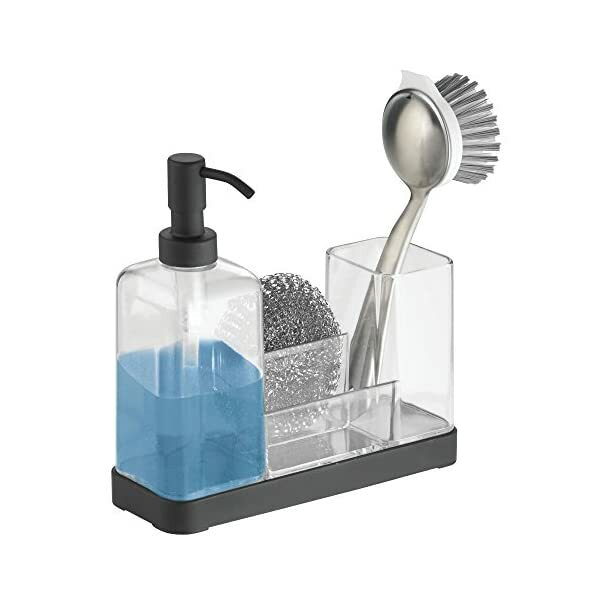 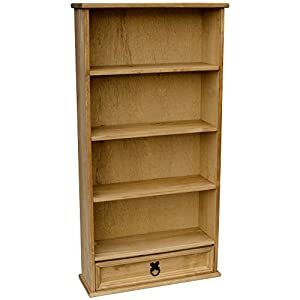 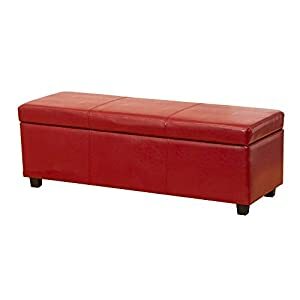 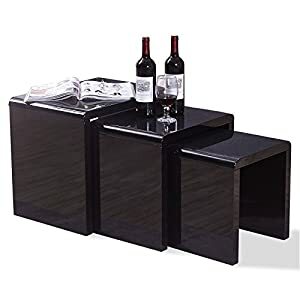 It is also suitable as a bathroom accessories set. 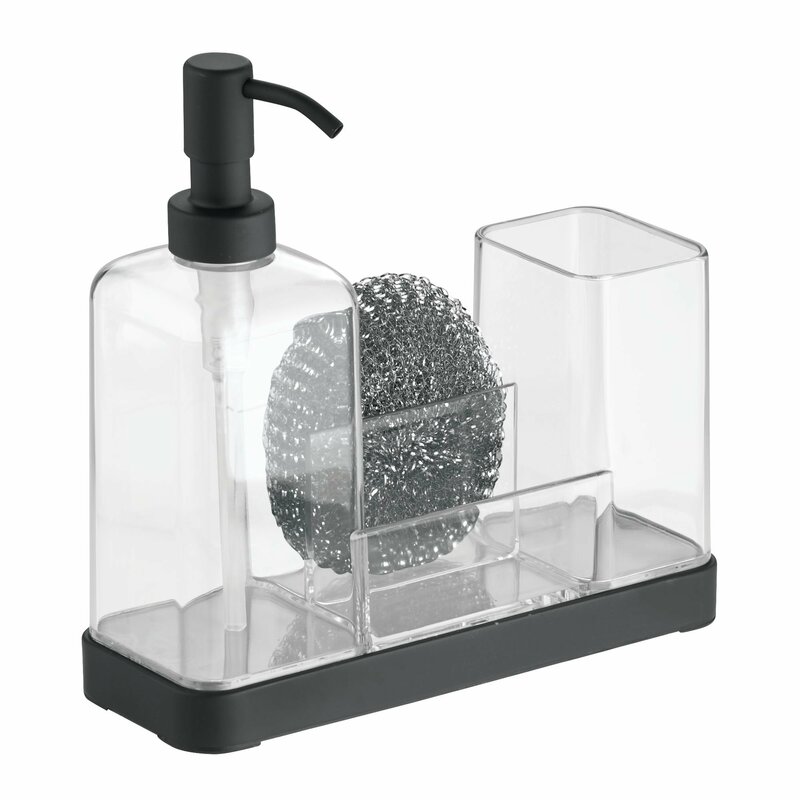 REFILLABLE: The soap dispenser pump can be refilled with liquid soap thanks to its large bottle neck. 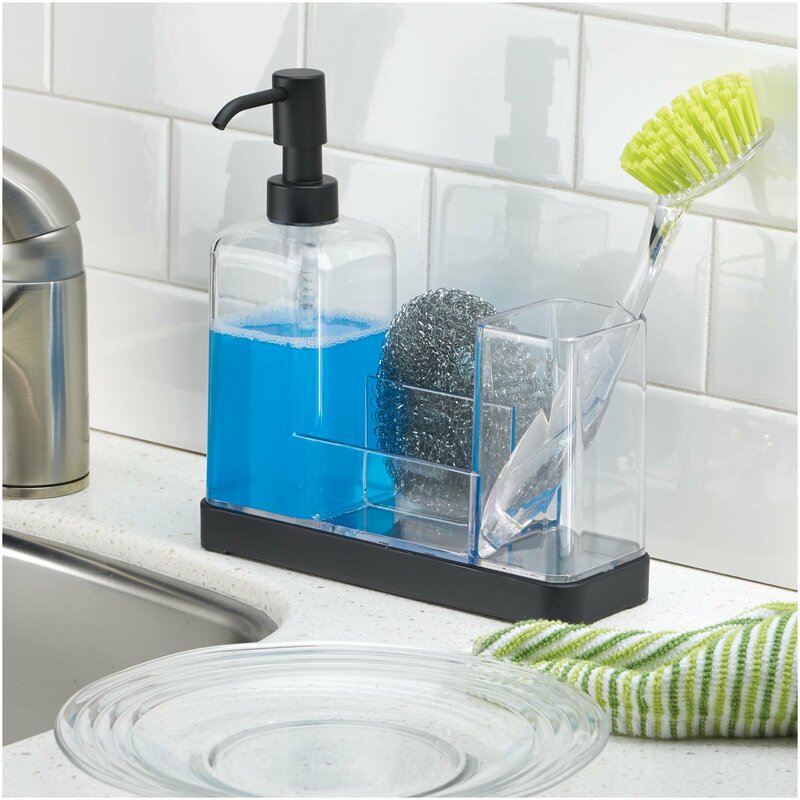 NON-SLIP: This kitchen sink tidy has foam coating at the bottom, so the liquid soap dispenser doesn’t slip, and your counter and sink will never get scratched again. 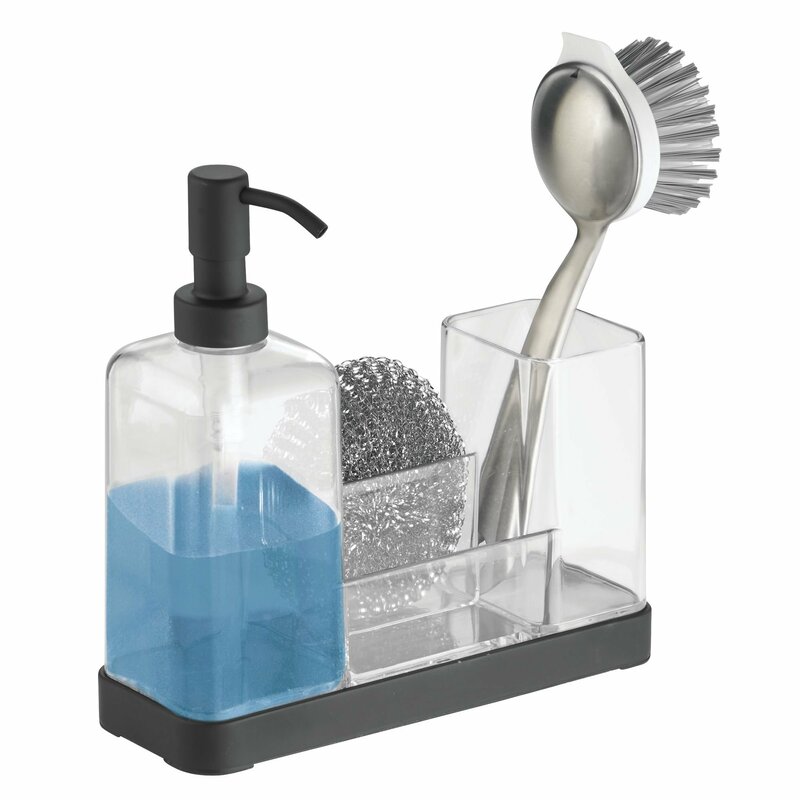 ROBUST: The hand soap dispenser and all other parts are made of sturdy plastic with a steel bottom. 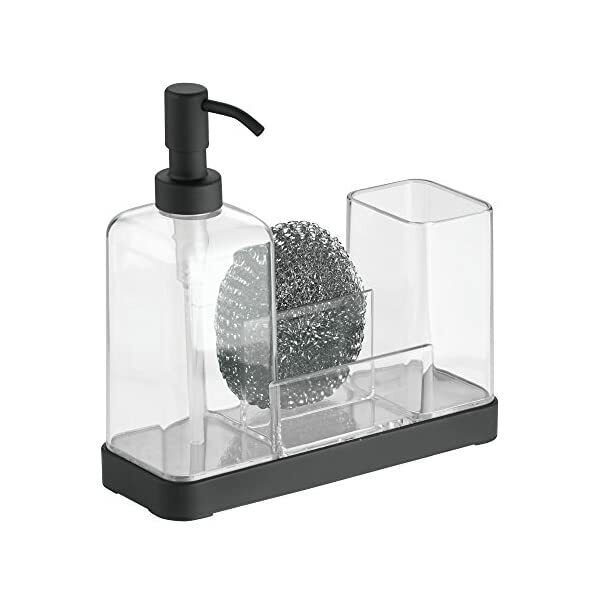 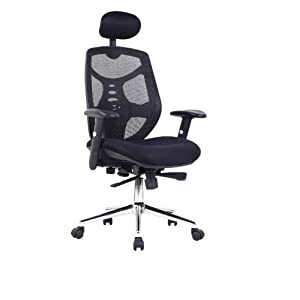 This ensures durability and lasting strength, making this product a pleasure to use time and time again. 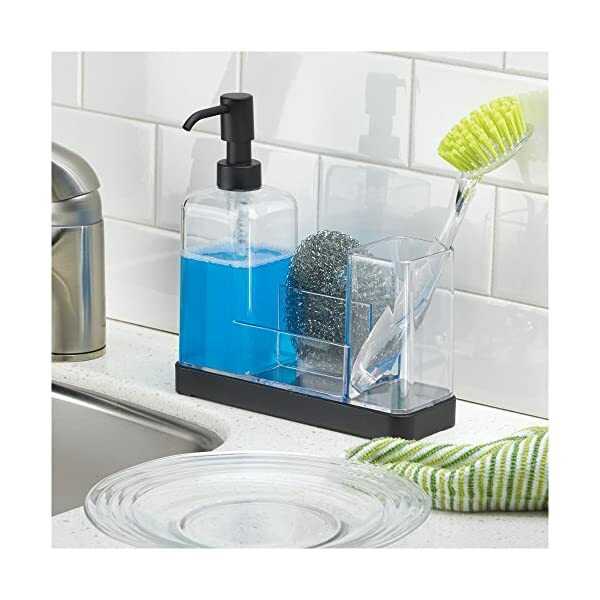 IDEAL SIZE: With a size of 21.0 cm x 7.5 cm x 20.5 cm and a capacity of 473 ml, this soap dispenser set ensures long-lasting cleanliness in the bathroom and kitchen.